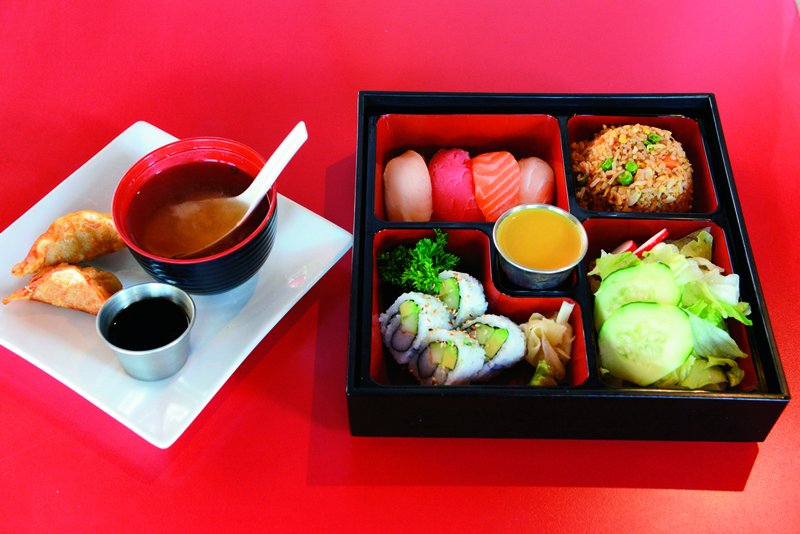 Wild Ginger, 1700 Bardstown Rd., is beginning a lunch service of bento boxes, the popular Asian multi-course packaged lunch to go. The 11 selections include teriyaki California with chicken or shrimp teriyaki or beef bulgogi, Katsu bento with chicken, a 5-piece chef’s choice sashimi or sushi, and eel or salmon teriyaki — all served with 4 pieces of California roll; or a maki combo with California, spicy tuna and cucumber rolls, and a yum yum combo with yum um and spicy tuna rolls. All the choices are priced a $10.99, which for most selections also includes 2 pieces of fried dumpling, miso soup, fried rice and a house salad. In the winter issue, F&D’s intrepid bargain diner Ashlee will sample the fare and report on her experience in her $10 Challenge column.